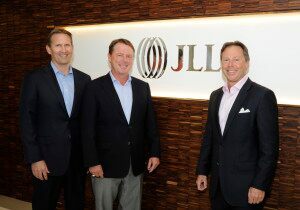 As consumer confidence continues to climb and economic prospects for retailers improve, JLL is getting a big boost to its retail business by acquiring Wilson Retail Group, a leading, independent retail brokerage and capital markets firm in Southern California. The transaction will enable JLL, already the nation’s largest third-party retail property manager, to provide a broader range of brokerage and investment sales services to retailers and investors in a core urban gateway. The transaction closed for an undisclosed sum. Founded by Principal Chris Wilson, in partnership with President Scott Burns, the Los Angeles, California-based Wilson Retail Group is a recognized leader in serving as owners’ and retailers’ representatives by providing fully integrated retail services to the biggest players in the industry. A total of 16 people from Wilson Retail Group will now become a part of JLL. Chris Wilson will now serve as Executive Vice President, Southwest Brokerage Lead, JLL Retail. Scott Burns will serve as Executive Vice President, Retail Brokerage Lead for JLL’s Los Angeles office. Geoff Tranchina will join as Executive Vice President, Investment Sales. The new Wilson executive team will report to Belisle, and partner closely with Naveen Jaggi, President of JLL’s Americas Retail Brokerage business. Categories: Agency Leasing, Americas Retail, Investment, Retail Transactions, Tenant Representation and tagged acquisition, investment sales, JLL, Leasing, retail, wilson retail group.